December 4 2017. Well over 500 Master athletes are now entered in the National Club Cross Country Championships in Lexington KY. This piece previews the Women’s Race which is over a 6km Course and goes off on Saturday, December 9 at 10 AM. Bill Quinlisk, longtime USATF XC and Road Race referee, described the course as: "...a 100% Kentucky blue grass loop course with a crushed stone short bridge crossing on men’s courses only. There are rolling hills with an uphill stretch to the finish of all races. It is definitely a spikes course!" Early forecasts called for rain showers but current forecasts for 10 AM are for cloudy, 31 degree temperatures and 7-8 mph wind, but only a 15% chance of precipitation. 40-44 Typically what is predicted overall is also the main prediction for this group. 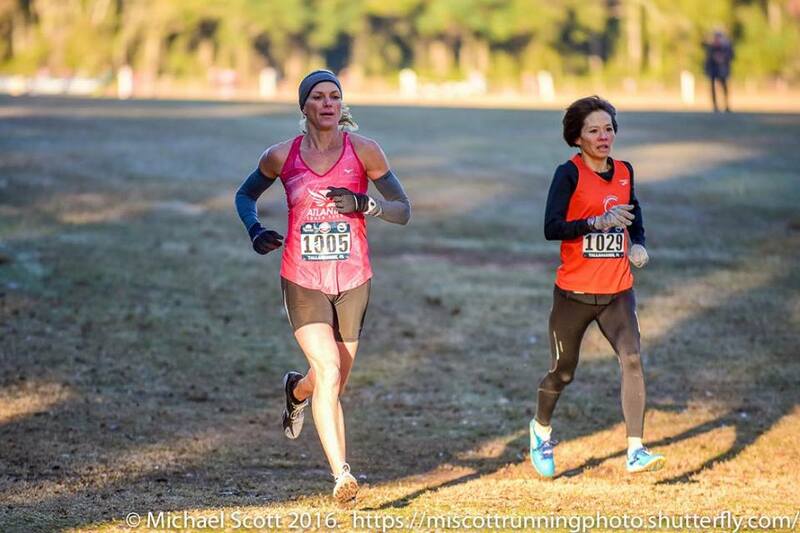 Because the overall race favorite, Sonja Friend-Uhl, is now in the 45-49 division, and Marisa Sutera Strange is in the 50-54 group, that makes previewing the 40-44 race a bit more interesting. Janet McDevitt, picked for 2nd overall, should be a strong favorite to take the division title. But, as always, there will be plenty of competition. Julie Mercado has several 5K races in the upper 17 minute range, along with a 36:44 10K. 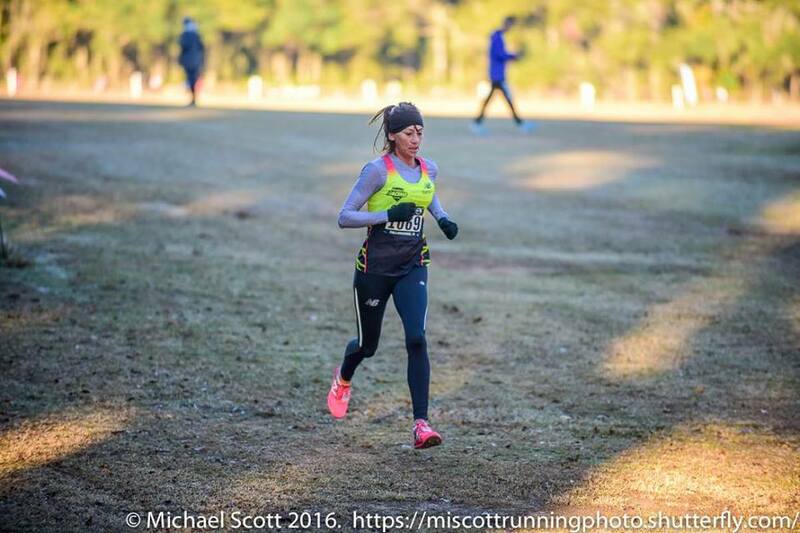 Brennan Liming, although she focuses mostly on trail races, has found time to run an 18:00 5K and a 30:42 8K. 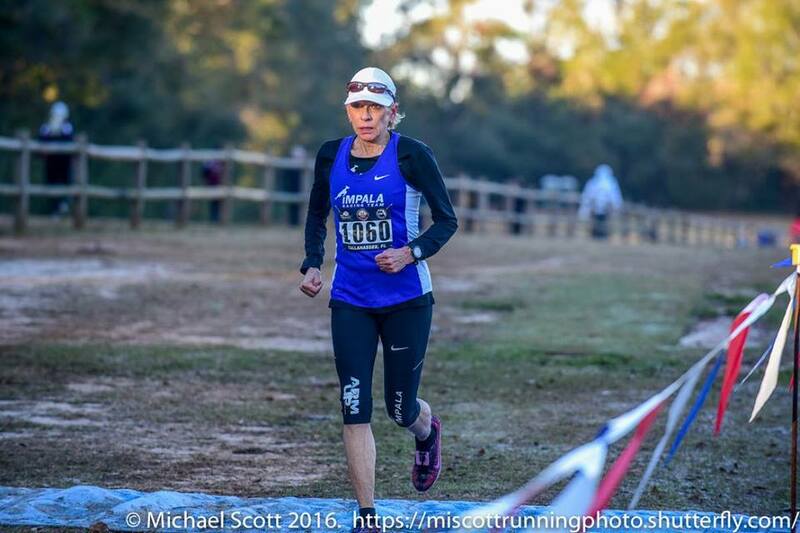 Margaret Brennan is a newly minted Masters runner who will have to be reckoned with. She ran an 18:12 5K and a 37:13 10K at the TD Bank River Run. A late entrant, the 3rd place finisher in the division from last year, Camille Shiflett will prove a worthy challenger again. In addition to an 18:14 5000M on the indoor Track, Shiflett has experimented with odd distances like a Quarter Marathon in 46:17 and a 50K race in 3:33:09, roughly equivalent to a 2:56 Marathon. Others who will be in the hunt for a podium spot include GVH’s Wakenda Tyler and Atlanta’s Kathy Wiegand. Tyler ran stronger at Club XC last year, but Wiegand had the edge in the 5K this year in Syracuse. Elizabeth Wells, another newly minted Masters has also had some strong races this year with mid-19 minute 5K’s and a 1:30:27 in the Philadelphia Half Marathon. 45-49 There are no easy divisions but this one may be the toughest. Sonja Friend-Uhl, two-time defending overall race winner and a favorite to repeat, is the favorite to repeat in this age division, but not a heavy favorite. Her strongest competition for both the age division and overall win may well come from Kris Paaso. Paaso has entered her first Club XC Championship since competing as a 44 year old in San Francisco where her 21:14 would have been fast enough to win the Masters Race. Friend-Uhl won that race in 21:59. Paaso’s 5K’s this year include a 17:26 on the fast Morgan Hill 5K and 2 others in the low 17:30’s, as well as a 35:49 on the fast Marin Memorial Day 10K course. Friend-Uhl has recently run a 17:27 5K in Miami and a 36:49 in a local 10K. It should be a great contest. Nancy Thomas, who finished 6th overall last year in 23:07, finished 2nd in the division and will aim to stay on the podium. Last year she had almost a minute on her closest pursuer, Rachel Hopkins, who is also entered this year and will try to make it a little closer contest. Cassandra Henkiel who won this division in the 10K Championships at Syracuse in 37:57 and in the 5K at Syracuse in 18:09, is probably the biggest threat to Thomas’s return to the podium. But Laura Wetz cannot be counted out. With a recent 38:19 10K, 1:03:32 10 Miler, and a 31:12 Five miler, Wetz definitely has the strength to hang with the chase pack and then see if she can find an opening to challenge for the podium. 50-54 Marisa Sutera Strange, the defending division champion in 23:00, and the recently named 2017 USATF Harrier of the Year, has had her way with the division all year, winning the age group at the 1 Mile, 5K, 8K and 10K National Championships. There is no reason to expect it to change at Club XC. Liisa Miller was 2nd in the division last year, finishing 10 seconds back from Strange. Kathleen Cushing-Murray finished 4 seconds back from Miller and has been running even stronger this year. Cushing-Murray’s teammate, Tania Fischer, has been the stronger of the two Janes teammates this year and may be even more of a threat for the podium. Fischer defeated Strange at the USATF XC championships in Bend Oregon this year. Another runner who will vie for the podium is Kirsten Leech, who finished behind Fischer and Strange but ahead of Cushing-Murray at Bend. Leech appears to be fit with an 18:25 5K and a 38:31 10K this fall, to go with a 31:07 8K last February. 55-59 Hall of Famer, Carmen Ayala-Troncoso, who took the division title in the 5K at Syracuse with a 19:47, would be the favorite had Trish Butler not aged up from the 50-54 divisi0on since Syracuse, Butler’s 19:15 was good enough for 4th in the 50-54 division but would have been good for 1st in the 55-59 division. Since that was also her first race back from injury it is reasonable to think that her race fitness has continued to improve. Butler’s teammate, Susan ‘Lynn’ Cooke has not yet entered. Whether her entry will come in between now and midnight Monday when the entries close or whether she is staying out due to injury is unknown. But she is the defending champion and would be favored to make the podium if healthy. In her absence there are a few runners likely to contend. These include Lorraine Jasper who took 3rd to Ayala-Troncoso at Syracuse with a 20:10. 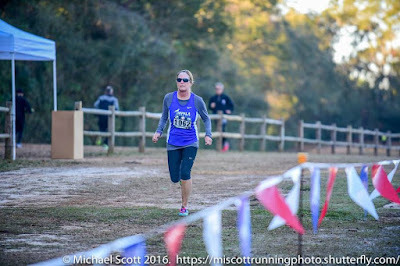 Jasper appears to be coming into Club XC with better fitness than last year when she finished 2nd in the division at Tallahassee in 25:00. She also made the podium at the 5k National XC Masters Championships in Boston, finishing behind Butler but ahead of Cooke. 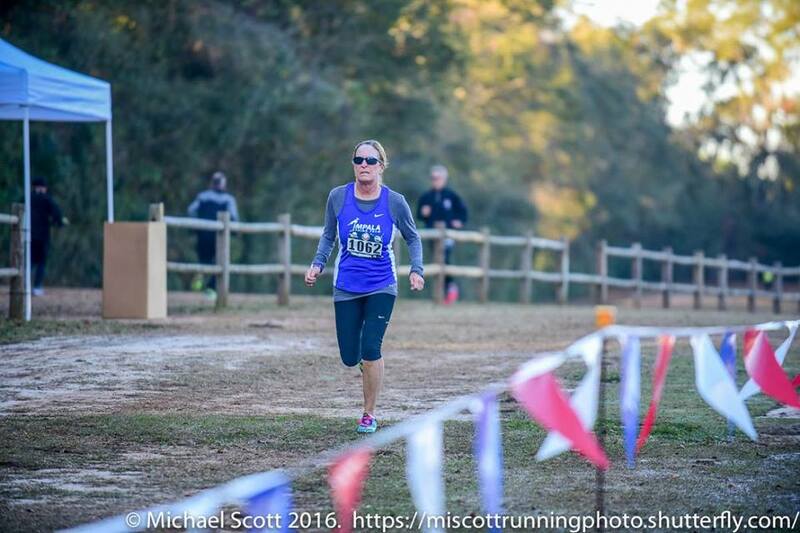 Another runner to be reckoned with is Joan Mabe who finished 7th last year in Tallahassee in the 50-54 division, but her 24:18 would have taken 1st in the 55-59 division by half a minute. But Athlinks contains no results for Mabe since Club XC, which introduces some uncertainty. 60-64 Barring any last minute entrants, it appears that Jill Miller-Robinett, who finished 2nd to her Impala teammate, Mo Bartley, last year, will be the favorite. Miller-Robinett has had her usual strong year, finishing 2nd to Bartley in the 8K Championship in Virginia Beach and 4th at the 5K in Syracuse. She has typically finished with a distinct gap back to her challengers in this race. The 4th, 7th, 8th and 9th place finishers at Tallahassee last year are entered for Lexington. They are, in order, Mary Richards, Sharon Moore, Margaret Taylor, and Cynthia Williams. Will they finish that way again this year? Perhaps, but Taylor and Williams, who lost to their Atlanta teammate, Richards, by over a minute in Tallahassee last year, were able to come in ahead of Richards by a half minute and 7 seconds respectively. 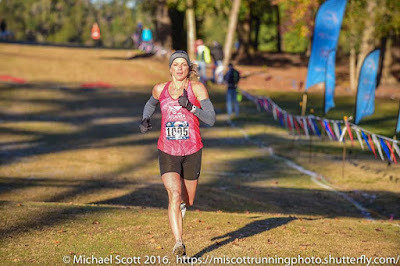 Moore and her teammate, Cheryl Guth, have been a few steps behind the Atlanta trio on the roads this year but the cross country course may prove to be a bit of an equalizer. Claire McManus, who finished 10th last year at Club XC, has rung her 5K’s in the 23 to 24 range and 10K’s in the 47 to 49 range. If she can run at the lower end of that range, she should have a chance for the podium. The same is true for Alda Cossi, who ran a 23:236 at the CVS 5k, and a 48:31 to finish 4th at the 10K Championships, 5 seconds back from Richards. Joanna Harper has had a bit of an up and down year but won the division at Bend, suggesting some cross country strength. Harper’s 1:16:01 3rd place effort at the 15K Championship in Tulsa shows that she has some staying power and should be able to hang with the chase pack and perhaps emerge on the podium. 65-69 2017 USATF Masters Athlete of the Year, Sabra Harvey is as heavy a favorite as one can imagine. Holder of multiple records and undefeated in the division this year, Harvey should defend her championship from Tallahassee. Even without Kathy Martin entered, it will not be easy. The primary challenger is from Team Red Lizard. Edie Stevenson and Suzanne Ray were the only two athletes who could stay within two minutes of Harvey in the 15K Championship at Tulsa. Stevenson is not entered but Ray is, and will try to hang with Harvey as long as possible. Ray should have a comfortable margin to play with over the challengers for the final podium spot, Ray’s teammate, Jeanette Groesz, and Impala’s Jo Anne Rowland. Sabra Harvey approaching the finish line, knowing that she gave everything she had out on the course, and would savor the victory later--at the 2016 National Club XC Championship in Tallahassee FL. Groesz, based on her division wins at Bend in cross country and at Newport Beach in the HM, is favored over Rowland but Rowland will give her a good fight and could win out if she is on. Rowland’s teammate, Donna Chan, cannot be counted out entirely although she is still on the comeback trail from an injury that slowed her in the first half of the year. 70-74 Dianne Anderson is the defending Champion from Tallahassee and won additional championships this year at Bend and in the 1 Mile Championships at Fllint. Her 2nd place finishes at Virginia Beach in the 8K in 46:19 and in the 5K Championships at Syracuse in 27:42, suggest that Anderson should have an edge of a few minutes over the Bay State’s Margaret Champion, and Virginia’s Ann Hirn who will battle it out for 2nd and 3rd. 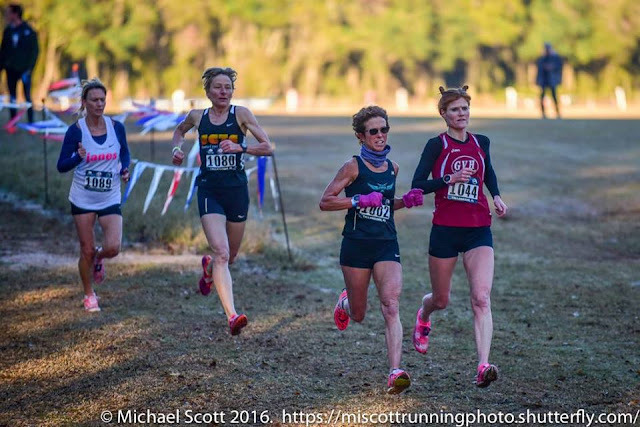 Dianna Anderson heading out onto the 2nd loop of the course, intent on a Championship at the 2016 National Club XC Championships at Tallahassee FL. Hirn’s slowest 5K is well slower than Champion’s but her fastest is a 30:07 which comes in under Champion’s 31:22. Hirn also has a 51:23 8K which is age grade equivalent to a 30:35 5K. I see Hirn having a slight edge over Champion. 75-79 It appears the three contenders in this division are closely matched. 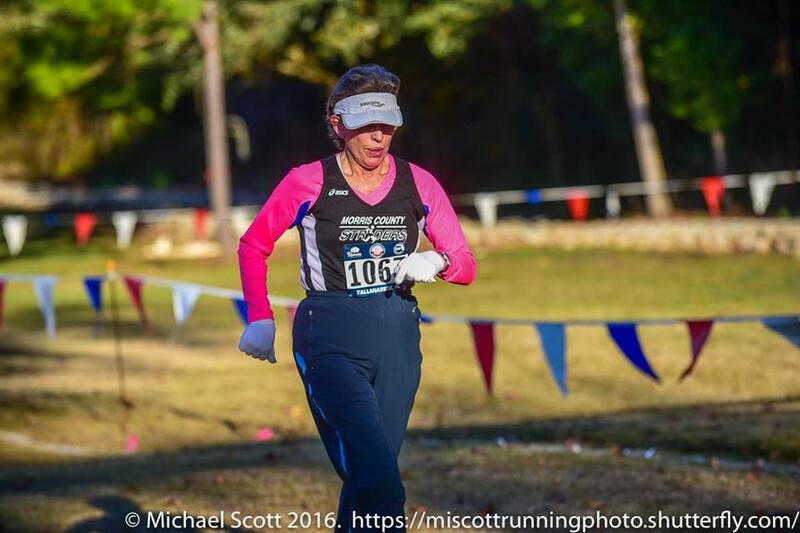 I will give the edge to Judy Stewart because in their only meeting this year, in the 8k Championship at Virginia Beach, she was able to defeat the defending Champion, Madeline Bost, 56:27 to 1:04:50. That would seem to make her a strong favorite, but Stewart’s 5K efforts ranged from 36:19 up to 38:09 while Bost was able to crack out a 34:57 on the fast 5K course at the Syracuse Championship. Madeline Bost striding confidently to the finish line and another Championship at the 2016 National Club XC Championships in Tallahassee, FL. Also Stewart may have had a bit of home course advantage in Virginia Beach while Lexington KY is neutral ground. And what of the third entrant, Mary Nagle? She has apparently just joined the 75-79 crew. She has no 2017 results in Athlinks but has two results suggesting she was in better condition than either Bost or Stewart in 2016—a 1:00:26 in the Medical Center 10K in Bowling Green KY and a 30:51 5K. Based on those two results, I will go out on a limb and make Nagle the favorite, followed by Stewart and then Bost. 80-84 Even were she not the only entrant, Tami Graf could well be favored to win. 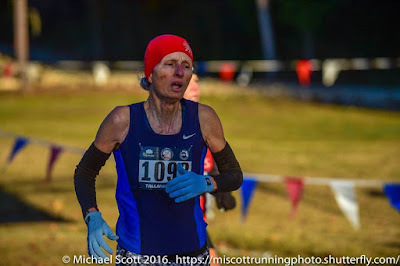 She won the division at the 5K National Championships at Syracuse in 37:06, besting her closest challenger by over 4 minutes. Best of luck to all of these outstanding athletes--only a few days to go!